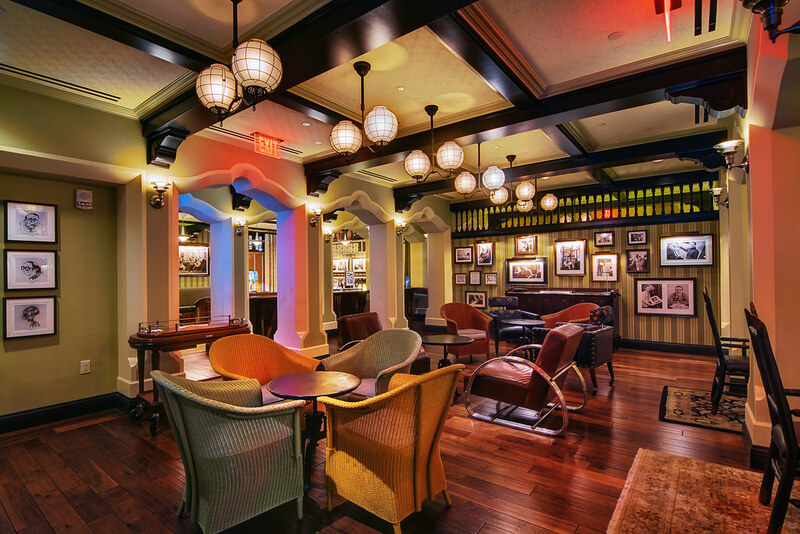 The 1901 Lounge is California Adventure’s counterpart to Club 33, located inside of Carthay Circle Restaurant. It is made to look like a place where Walt and his animators would have relaxed and shot the breeze. What you’re currently looking at is more of the bar area (a photo of the adjacent lounge will come soon). This entry was posted in Buena Vista Street and tagged 1901, Buena Vista Street, carthay, Club 33, Lounge. Bookmark the permalink.